Taking his cue from Raymond Chandler, Lionel Davidson wrote the kind of brilliant literary thrillers that please literature-lovers and thriller-readers alike. His novels are taut, masterful works of suspense that whip through dramatic events at a pace. The quality of the writing is, however, in a class of its own. Davidson (1922- 2009) was a freelance journalist in 1960 when he wrote his first novel, The Night of Wenceslas, which was an immediate success. Though all his subsequent novels were equally well-received, highly regarded by critics and writers, his work had fallen into relative obscurity until the hugely successful reprint of his last novel, Kolymsky Heights in 2015. 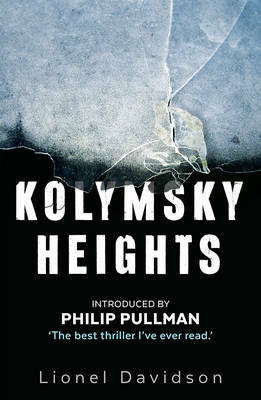 Kolymsky Heights has been called the ‘book that came in from the cold’, in the way it has rekindled love for Davidson’s writing. Of the book, The New York Times Book Review wrote: “An icy marvel of invention ... It is written with the panache of a master and with the wide-eyed exhilaration of an adventurer in the grip of discovery”. Davidson set out to recapture the spirit of classic adventure stories by authors such as Rider Haggard, John Buchan and Robert Louis Stevenson. His heroes were altogether different though; he preferred his protagonists to be amateurs who become embroiled in foreboding circumstances and often extremely harsh terrain. 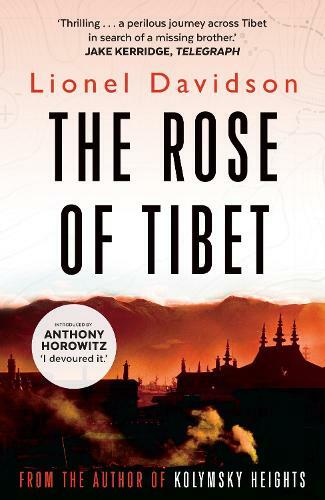 The Rose of Tibet is an early Davison novel set during 1950-1951, years of tense and fractious relations between the People’s Republic of China and Tibet. The protagonist, Charles Houston, travels illegally from India into Tibet in search of his missing brother. His arrival, it transpires, has not only been prophesised a hundred years earlier, it also coincides with the invasion of the Chinese Red Army. Many other reviewers have noted that it is a scandal this book has never been adapted into a film. A frozen Siberian hell lost in endless night. The perfect location for an underground Russian research station. It's a place so secret it doesn't officially exist; once there, the scientists are forbidden to leave. But one scientist is desperate to get a message to the outside world. From the bestselling author of Kolymsky Heights'I devoured it.' Anthony HorowitzWith an introduction by Anthony HorowitzA filmmaker is reported dead near Mount Everest.